आता किमान पुढच्या काळात तरी सुधारणा व्हायला हवी. .
छान लेख आहे. विश्लेषण आवडलं, संतुलित आहे. कालच वाहला होता. प्रतिक्रिया द्यायला उशीर झाला. BJP should realize that NOW is the time. Don't create and fall in the traps of slogans like Shining India and Achche Din. Control the extremist people within party. Relieve Modi from election campaigns responsibility. Let him handle the country. 2. 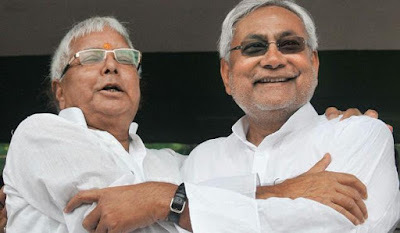 Nitish Kumar had delivered several good and required services to people like security, electricity, Roads etc. Besides that he has clean image. 3. 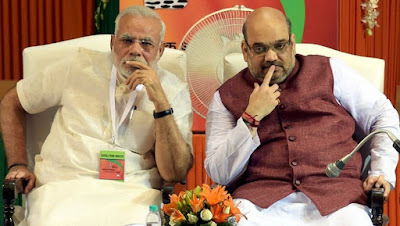 After Bihar elections one fact is reinforced that in 2014 loksabha elections Congress's defeat was more important for people than victory of Modi. Hence defeat of congress was wrongly projected as Modi charisma. 4. Bihar elections again proved one fact that BJP has tough time against regional parties. After Mharashtra elections BJP's supercilious attitude against regional parties caused one more debacle of BJP in Bihar after Delhi smash. 5. Last but not the least that after one and half year of rule in India BJP report card is blank.